Fixed bug where darts were drawn incorrectly. 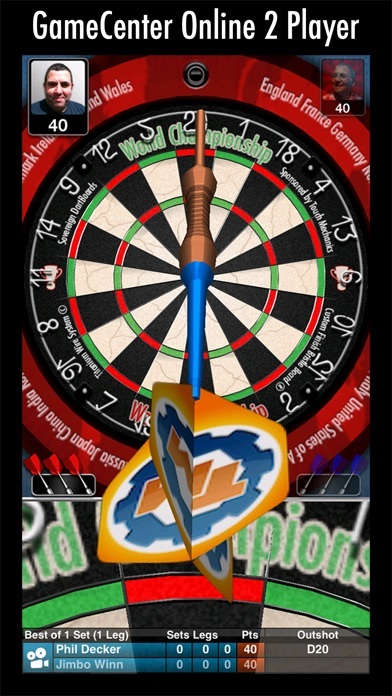 The sport of the people arrives on the iPhone in gorgeous 3D - Bulls i 3D Darts is a fun and authentic celebration of the game of 'Arrows'! Designed to suit all players from 8 to 80, it features a fantastic control system that is easy to pick up but difficult to master - hitting the winning double has never felt more natural or satisfying! » Do you think you can beat the rest and win all 4 tournaments to become the World Champion in both Amateur and Professional? » Can you fill your trophy room by winning tournaments and completing special achievements? » Think you can be victorious against other people online in GameCenter 2 player matches at 501 and Cricket? 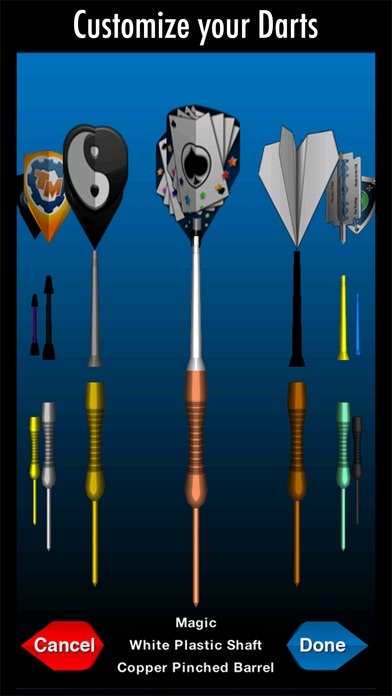 » Fancy customising your darts with over 60,000 possible combinations? » Up for beating your mates in a HotSwap 2 Player match of 301, 501 or Cricket? 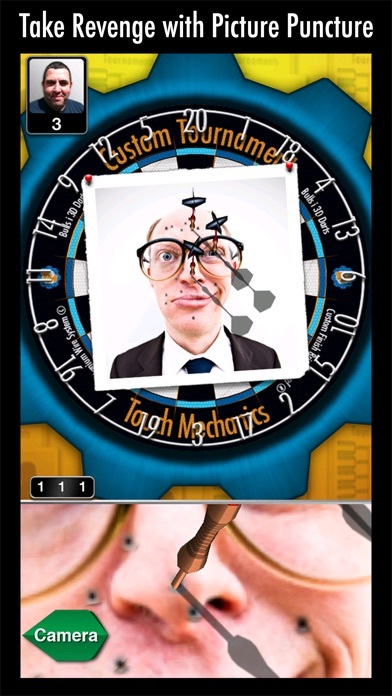 » Want to vent your frustrations in Picture Puncture by throwing darts at imported photos? …Then get yourself 'On the Oche' and take aim with Bulls i 3D Darts! » Intuitive control system designed for speed and accuracy so you can throw 3 darts as quickly as real life. 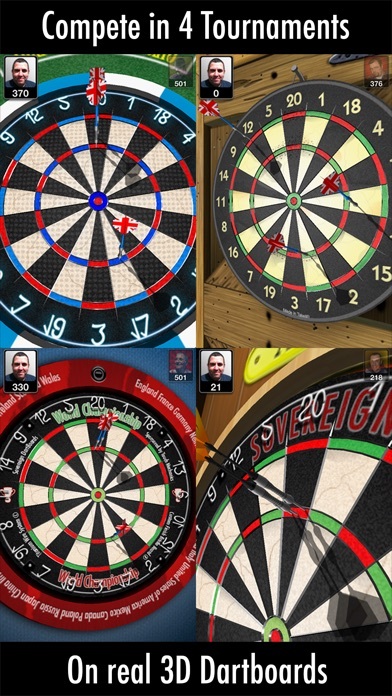 » Gorgeous graphics with full 3d darts and dartboards, realtime reflections and shadows; now with full Retina support. » Full screen replays for great shots and a closeup camera to zoom in on the action for those vital finishes. » 5 locations and 7 game modes including career and 2 player hotswap support. » GameCenter support: so you can play against other people online at 501 or Cricket. 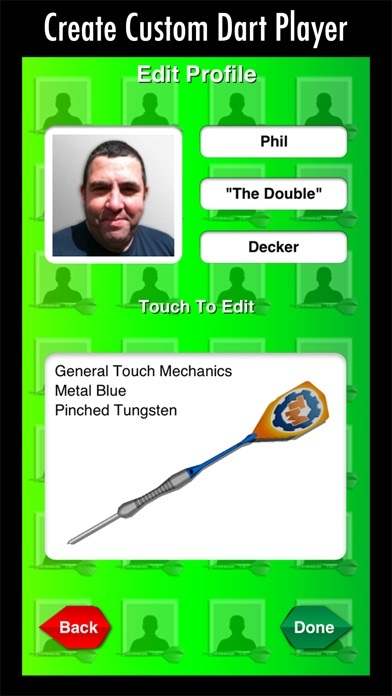 » Full customisation of your character and darts. » Save Game & Auto Save.